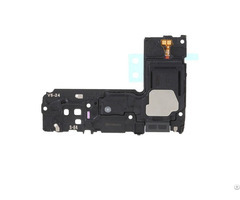 » Wholesale Mobile Phone Lcd Screen For Iphone 6s Plus Assembly. ● This item includes the LCD screen, digitizer touch screen, front frame, 3D touch layer and ear speaker mesh cover already attached. ● This part is a V+ grade product, which means 100% original manufactured and assembled and high quality. ● This part is only compatible with iPhone 6S Plus. ● The iPhone 6S Plus LCD screen assembly is available in 2 colors: White and Black. ● The flex cable ribbon is easily damaged. Handle carefully!.When install the front camera flex assembly. ● Special tooling is required when disassembling and reassembling the Apple iPhone 6S Plus LCD Screen and Digitizer Assembly. ● The installation of any new parts should be done by a qualified person. Esmart supply is not responsible for any damage caused during installation. 1. We accept shipping by DHL, UPS, FedEx, TNT, EMS, HongKong Post, China Post, etc. 3.The Tracking number will be available the next day after shipping. 2. Good Service: We treat clients as friend, all questions response in 24 hours. 3. Good Quality: We have professional QC team, Each product has be strictly tested before shipping. 4. 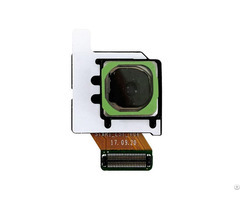 Goog price: We are smartphone lcd manufacturer can provide best price. 1. We offer 12 months warranty for our products.Please test the goods asap once you get the parcel, If you find the defectives, please keep and send back to us, and after confirmation we will send you replacement at next order. 2. If the goods had been used and there scratches or broken on face, then no warranty.Please be care of the flex, the broken flex may cause lcd or touch not working. 3. Please be clear of our label(stamp), if the goods don't come with label then no warranty. Business Description: Esmart technology company was established in 2009 June, a professional, high-tech, ISO9001:2008 and ISO14001:2004 certificated enterprises. We are engaged in capacitive touch panel research and development, production and sales. he company is now own two factories, have more than 4000 m² workshop, with superior and convenient transportation. The factory has high standard dust-free clean workshop, precision optical coating equipment, advanced surface treatment equipment and more than 10 number of the advanced automation production line. 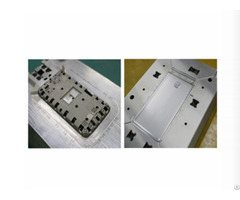 Our main products are Touch Panel, Optical Coating and etc. We can provide a full range of OEM, ODM cooperation mode, and we have mass production most of 3.5inch, 3.8inch, 4.0inch, 4.3inch, 5.0inch, 7inch, 8inch, 9.7inch, 10.1inch touch panel, they are widely used in Mobile Phone, Tablet PC, GPS, Learning Machine, Industrial Control and some other fields. Our company will always persist in the principle of pursuing zero-defect in products and do better to meet the customer’s requirement, constantly strive for perfection and sustainable operation to fulfill customer’s requirements with high efficiency and good service. We sincerely welcome friends from home and abroad to cooperation, development together, and have a brilliant future.